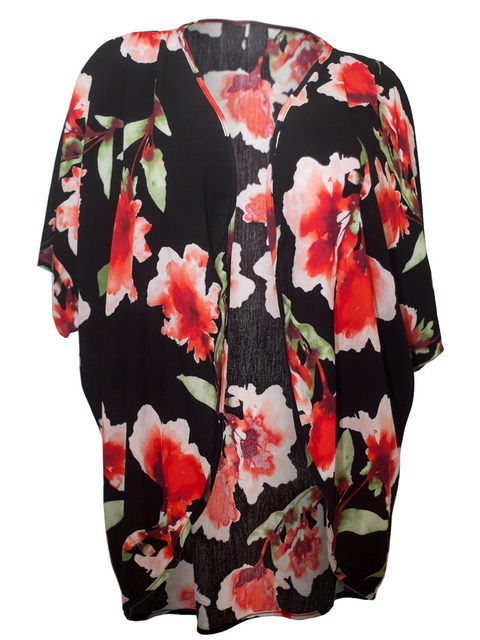 Plus size long cardigan features three quarter sleeve design with open front styling. 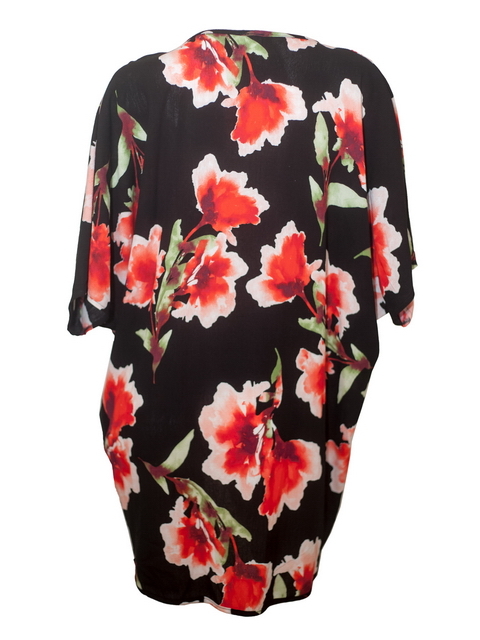 Beautiful floral print all over fabric. Available in junior plus size 1XL=Size 13/14, 2XL=Size 15/16, 3XL=Size 17/18.